A whopping number of 13F filings filed with U.S. Securities and Exchange Commission has been processed by Insider Monkey so that individual investors can look at the overall hedge fund sentiment towards the stocks included in their watchlists. These freshly-submitted public filings disclose money managers’ equity positions as of the end of the three-month period that ended September 30, so let’s proceed with the discussion of the hedge fund sentiment on Aerojet Rocketdyne Holdings, Inc. (NYSE:AJRD). Aerojet Rocketdyne Holdings, Inc. (NYSE:AJRD) was in 14 hedge funds’ portfolios at the end of September. 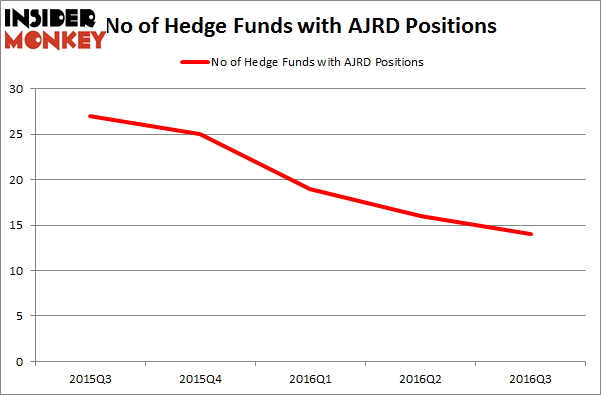 AJRD has experienced a decrease in hedge fund sentiment of late. There were 16 hedge funds in our database with AJRD positions at the end of the previous quarter. The level and the change in hedge fund popularity aren’t the only variables you need to analyze to decipher hedge funds’ perspectives. A stock may witness a boost in popularity but it may still be less popular than similarly priced stocks. That’s why at the end of this article we will examine companies such as Amerisafe, Inc. (NASDAQ:AMSF), American Equity Investment Life Holding (NYSE:AEL), and Alliance Resource Partners, L.P. (NASDAQ:ARLP) to gather more data points. How are hedge funds trading Aerojet Rocketdyne Holdings, Inc. (NYSE:AJRD)? At the end of the third quarter, a total of 14 of the hedge funds tracked by Insider Monkey were long this stock, a 13% drop from the second quarter of 2016, and the fourth-consecutive quarter that hedge fund ownership of the stock has fallen. The graph below displays the number of hedge funds with bullish position in AJRD over the last 5 quarters. With hedgies’ sentiment swirling, there exists a few key hedge fund managers who were increasing their stakes significantly (or already accumulated large positions). 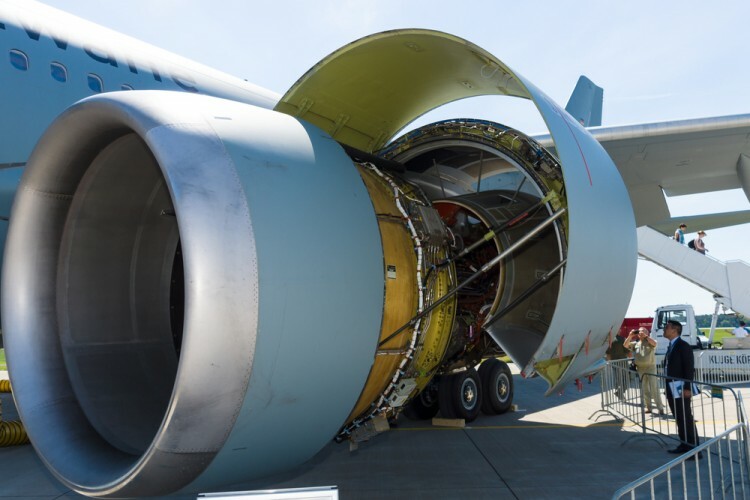 Of the funds tracked by Insider Monkey, Mario Gabelli’s GAMCO Investors has the number one position in Aerojet Rocketdyne Holdings, Inc. (NYSE:AJRD), worth close to $83.5 million. The second largest stake is held by Steel Partners, led by Warren Lichtenstein, holding a $73.5 million position; the fund has 22.6% of its 13F portfolio invested in the stock. Remaining professional money managers with similar optimism contain Michael Blitzer’s Kingstown Capital Management, Jim Simons’ Renaissance Technologies, and Chuck Royce’s Royce & Associates. We should note that none of these hedge funds are among our list of the 100 best performing hedge funds which is based on the performance of their 13F long positions in non-microcap stocks. Should You Follow the Smart Money Into Ritchie Bros. Auctioneers (USA) (RBA... Hedge Funds Are Growing More Bullish on Regional Management Corp (RM) Hedge Funds Are Pouring Into Sodastream International Ltd (SODA) Boston Beer Company Inc (SAM): Hedge Funds Finally See Something to Like Again... Hedge Fund Interest in Companhia de Saneamento Basico (ADR) (SBS) Flatlines Is Rexnord Corp (RXN) A Good Stock To Buy?